With the weather not looking the best for the long weekend ahead and the kids off school, we have you covered with some great new Netflix picks for the long weekend ahead. I still remember watching this a kid! Directed by Academy Award® winner Steven Spielberg, this really was the movie of our time. The village of Amity finds itself under attack by a dangerous great white shark, the town’s chief of police (Roy Scheider), a young marine biologist (Richard Dreyfuss) and a grizzled shark hunter (Robert Shaw) embark on a desperate quest to destroy the beast before it strikes again. Featuring an unforgettable score that evokes pure terror, Jaws remains one of the most influential and gripping adventures in motion picture history. Rising journalist Alison Scott (Katherine Heigl) hits a serious bump in the road after a one-night stand with irresponsible slacker Ben Stone (Seth Rogen) results in pregnancy. Rather than raise the baby on her own, she decides to give Ben a chance to prove he is father material. However, he is unsure if he is ready to be a parent, and both wonder if they would be compatible lifetime partners. I have seen these many times and its an easy watch for a chilled out movie night. 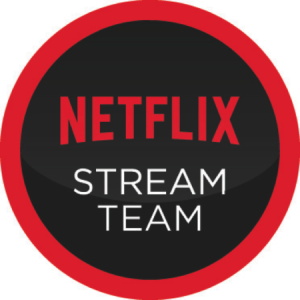 Note: We are part of the Netflix Stream Team for which we receive a subscription to Netflix however we were members before being asked to join.